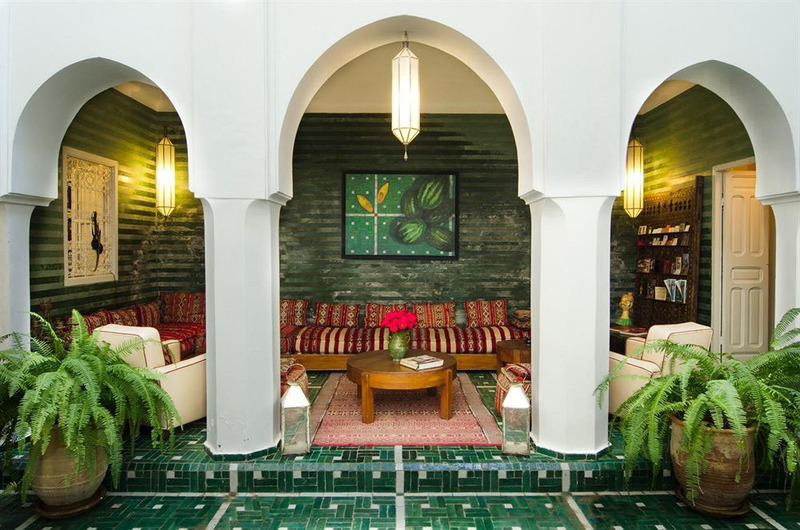 L’Hôtel Marrakech is a privately owned historic 19th Century riad in Marrakech, Morocco. 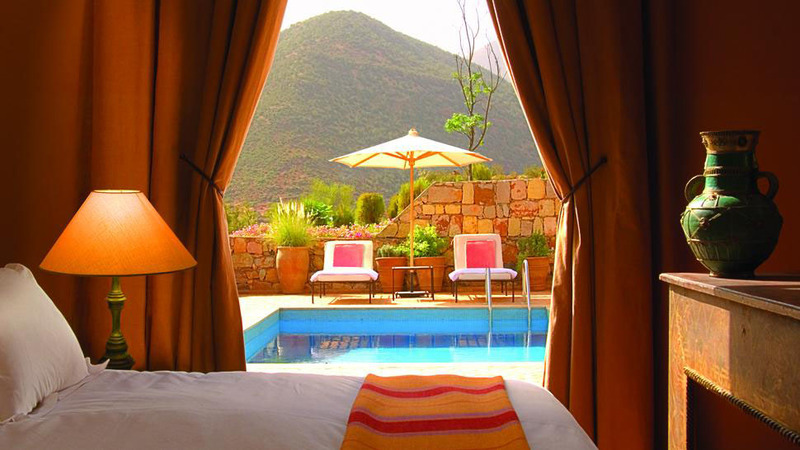 The boutique hotel comprises five spacious suites with a large courtyard garden and swimming pool. 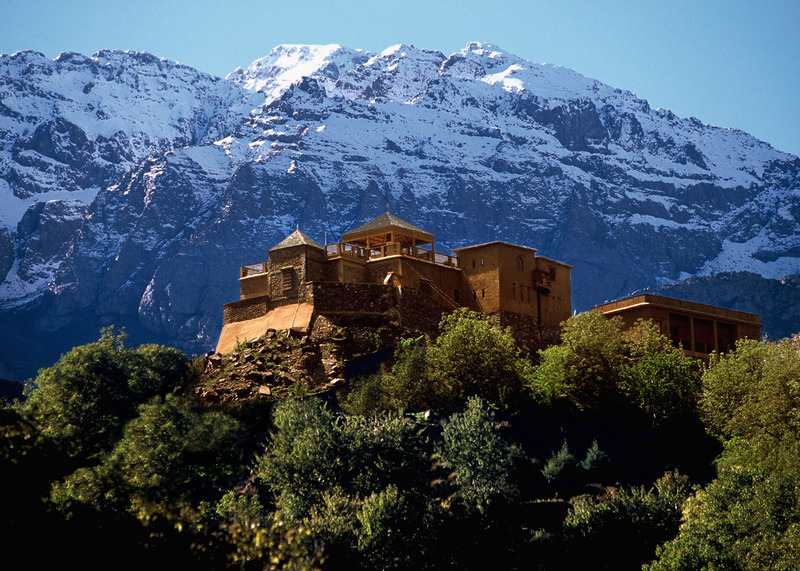 Situated at the foot of Jbel Toubkal — the highest peak in North Africa 60km from Marrakech, Morocco — Kasbah Du Toubkal is a quiet mountain retreat in a majestic setting. This hilltop Kasbah has been transformed using traditional methods, from the home of a Feudal Caid into an unprecedented haven for those seeking comfortable mountain refuge. 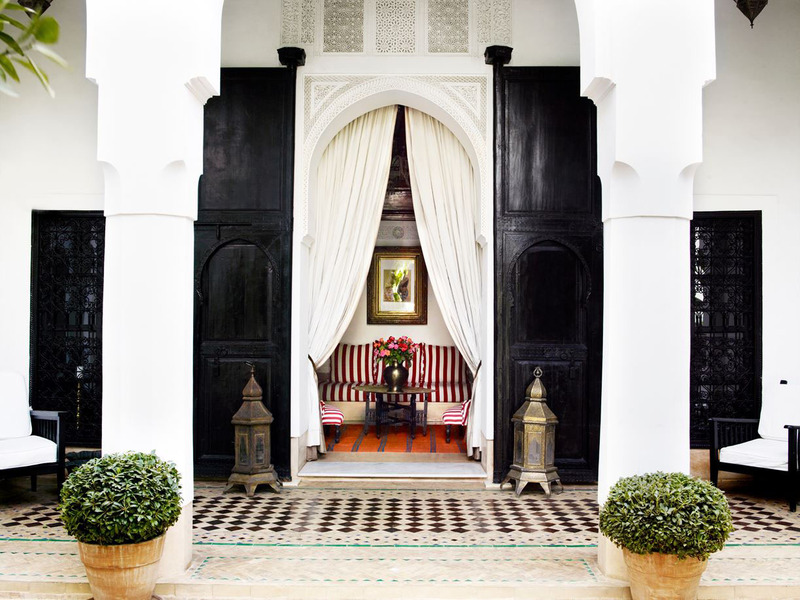 This 18th century house in Marrakech, Morocco belonging to Caitlin and Samuel Dowe-Sandes is a blend of contemporary interior design with traditional Morrocan elements. 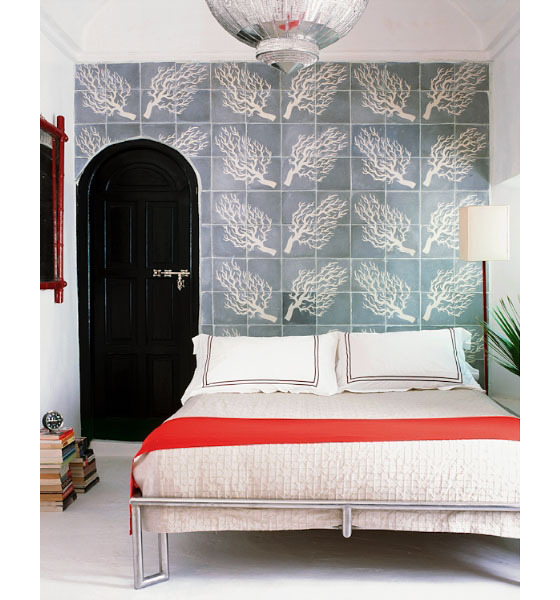 The old-fashioned cement tiles in the courtyard were preserved with its black-and-white motifs. 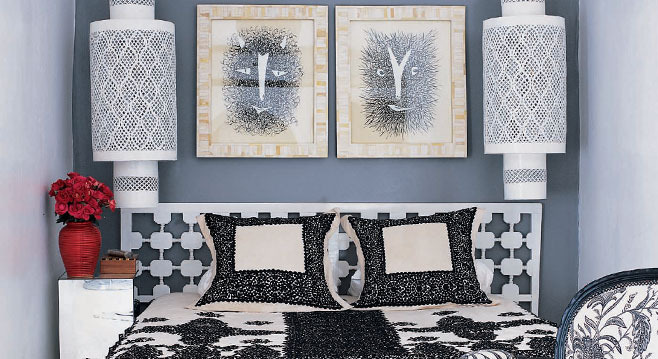 Whimsical elements throughout add drama and style to the heavenly interior decor.